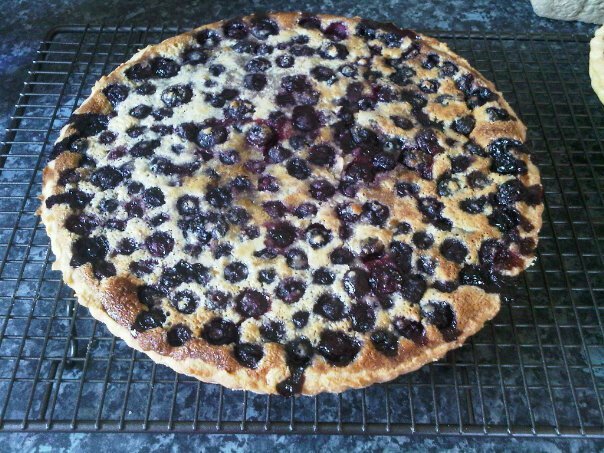 My latest bake was Blueberry Tart from Joanne Harris’ book – The French Kitchen. Yes, she’s the one who wrote Chocolat. And yes, to my satisfaction there was a section in the recipe book called just that. This blueberry tart is like the ones you find in French patisseries and looks really difficult, tasted divine and is easy peasy to make – pastry and all! I initially served it warm with some Haagen Dazs vanilla ice-cream, but then we took the dogs for a walk and scoffed the rest cold with a cup of tea (it should be cold) and I think it was even nicer. Anyway, you know it’s good when your guests have seconds and ask for the recipe!